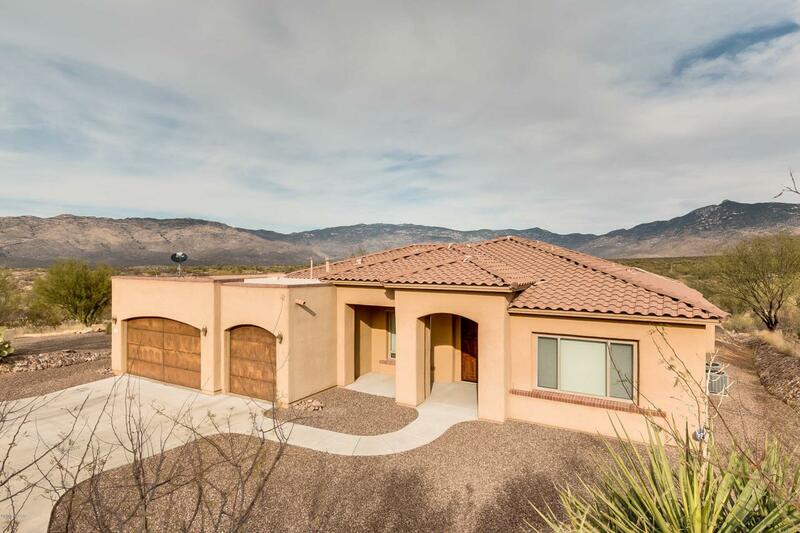 Panoramic views, completely unobstructed, of natural desert leading all the way to the Rincons. 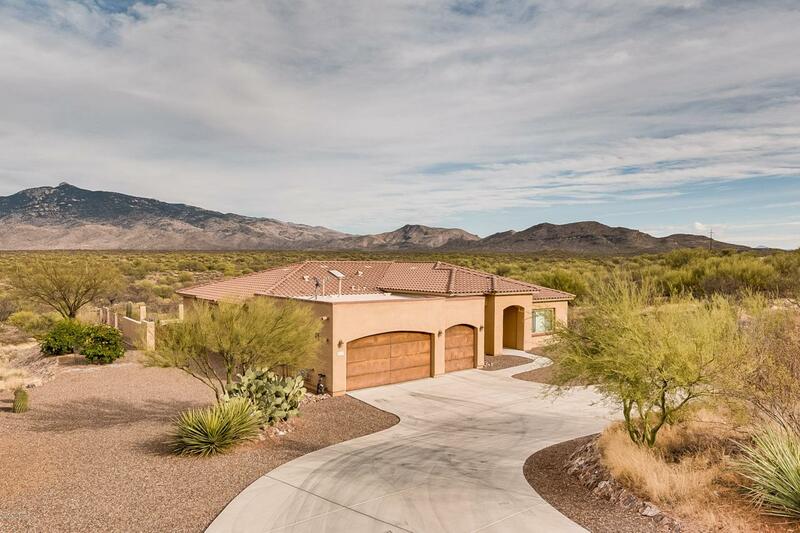 Impeccably maintained 4 Bd/4 Ba, 3 car garage. High ceilings w/open floor plan. 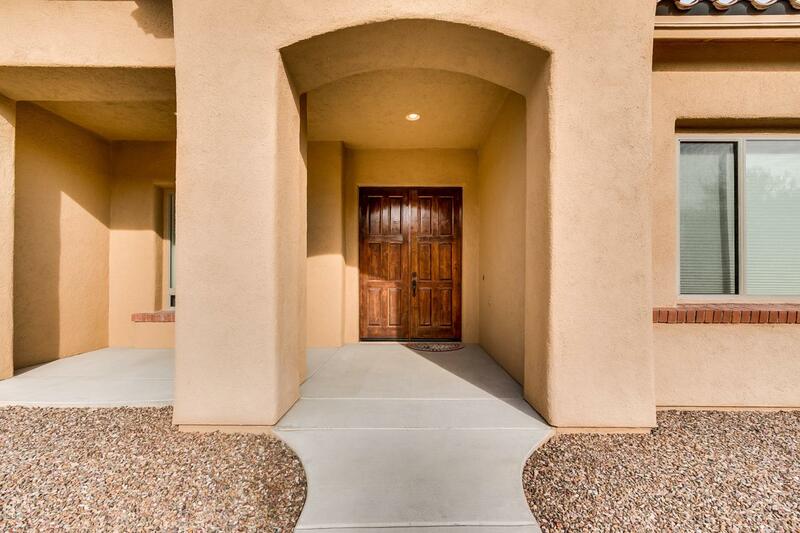 Gorgeous kitchen with monogram stainless steel appliances, granite w/decorative tile back splash, dark cherry wood cabinets & matching doors throughout. Two masters in the split floor plan- perfect for guests. 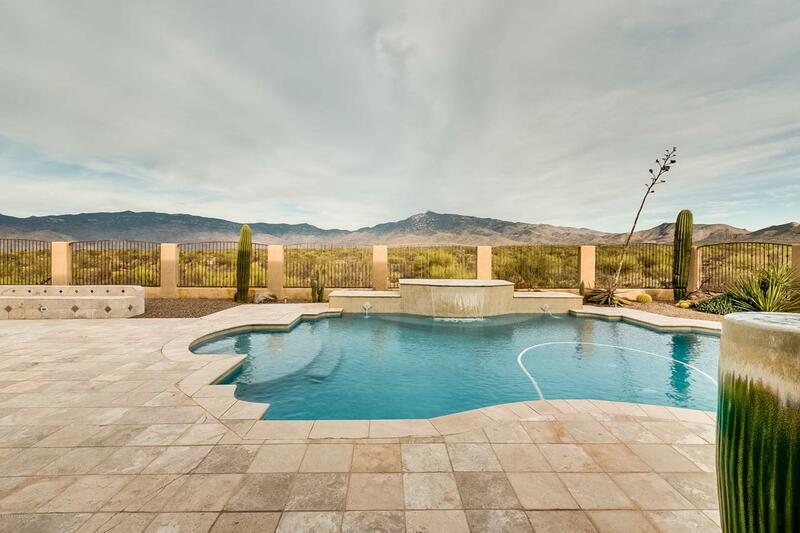 BREATHTAKING VIEWS- TOTAL PRIVACY. Sparkling pool with waterfall, built in grill & plenty of seating for all!! !